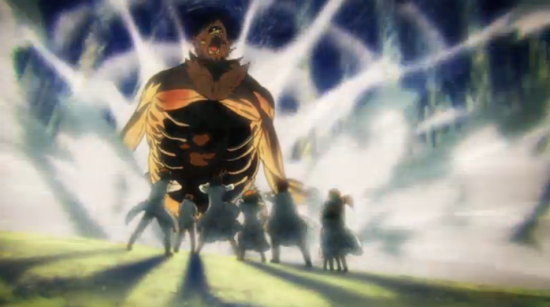 I spoke last week about how I was frustrated by anime latching itself onto the tired trope of bloodlines being the all important factor in why things happen. 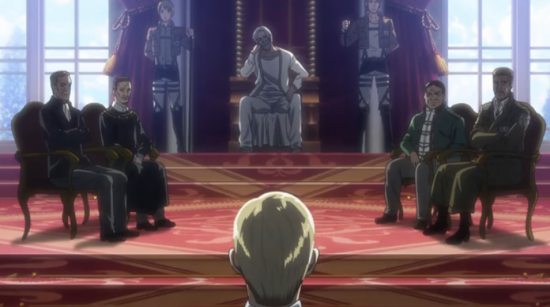 Historia being the one who carries the Reiss bloodline, thus is capable of knowing the true history of the Titans. I liked that she turned her back on that. Although I wouldn’t be too shocked if Erin end up accessing the memories and abilities anyway through some upcoming plot contrivance. You know what I’m getting tired of seeing in media: People whose fate and abilities are tied to their bloodlines. It’s one of the things I enjoyed about the new Star Wars trilogy so far, that they’ve turned way from these old cliches. Anime, apparently, still can’t get enough of it. 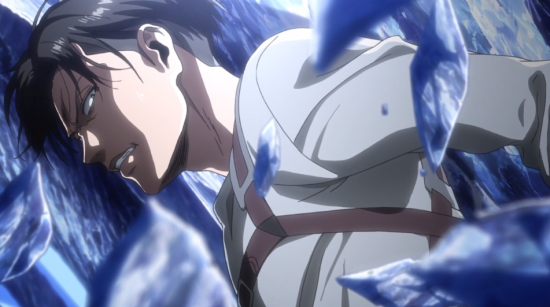 Last time we ended with me all but certain Erwin was going to sacrifice himself in order to liberate the walled cities from a corrupt government. The actual events of this episode fall somewhere between a cop-out and a surprisingly well executed plan. I’m not salty about being wrong, but the misdirection felt, I don’t know, a little undeserved.